My memories of an early nineties family outing to the Irish Connections festival is a bit hazed by Harp and hot sun, but a quick check with my mother confirms it: though I do remember a few snatches of some relatively decent irish pub music at a small outdoor stage near the beer garden, it’s clear that, back then, the music was clearly not the centerpiece of what was otherwise a decent cultural festival on a small college campus. But good festivals evolve, and even a cursory glance at their festival lineup and schedule will tell you that the Irish festival now called ICONS Irish Music and Arts Festival, which takes place this weekend at the Irish Cultural Center in Canton, MA, has undergone a true transformation. In the decade since I first attended ICONS, it has found its own site, and grown from a small-scale series of exhibitions and craftsmerchant boothbuildings to a several day undertaking of immense proportions. In the process, what was once a crafts and culture festival with a few casual workshop-scale performances of traditional irish music and dance throughout the day has become a full-bore multi-stage music and arts festival of increasingly impressive scope and scale. In an era where other folk festivals often seem to be recycling the same cadre of artists year after year, ICONS is a breath of fresh air. The breadth of talent at this year’s ICONS fest is impressive, ranging from irish-influenced bluegrass banjoists and solo acoustic singer-songwriters of Irish descent to a seemingly infinite collection of traditional reelplayers, country jigbands, and contemporary Celtic Folk favorites that, like the rest of the arts and cultural activities, “reflect the new cultural directions of Ireland and its Diaspora”. And you just gotta love a festival that features an entire stage devoted to harp orchestras, demos, and dance, and names it Harpapalooza. Most of the biggest-name acts this year will play ICONS both Saturday and Sunday, so you shouldn’t have to miss a trick, and you’ll have plenty of time to roam the grounds, see dance, sports, and other cultural forms in performance, and browse the numerous static exhibitry and merchants. Old timey neograss folkfavorites Crooked Still will be there, and I suspect I won’t be able to resist seeing them for a twentieth time. I’m excited for old-school folksman Liam Clancy of The Clancy Brothers, young scenesters Lunasa and Beoga, and Irish siren Cara Dillon, too, though I’m determined to save Dillon’s haunted pianofolk cover of The Beatles classic Wait for an upcoming return to the songs of the Beatles here at Cover Lay Down. To tempt you even further, here’s a few solid covers from a few more great artists I’m eager to see for the first time this weekend at ICONS. 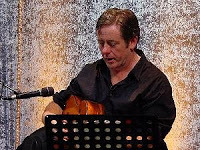 Early in his career, to distinguish himself from his famous brother Christy Moore, Irish folkie Kevin Moore renamed himself Luka Bloom after a popular Suzanne Vega song and the hero of a James Joyce novel. Twenty years and over fourteen albums later, the name remains an apt reflection of Bloom’s signature sound, which combines American-style folk songwriting with an Irish approach to performance. The result is sometimes rocking, sometimes mellow, occasionally ragged, but always effective. Luka’s distinctive, jangly guitarplay and a typically plaintive, leggato approach to lyrics provide a solid platform for some excellent singer-songwriter folk. His originals trend towards reverence and celebration, as befits his style; in cover song, as in his excellent covers album Keeper of the Flame, his approach tends to sweeten the tone of the works of others, providing a surprising depth to such melancholy rarities as Joni Mitchell’s Urge for Going, Radiohead’s No Surprises, and — a repost — Bloom’s cover of LL Cool J’s I Need Love. Bloom’s newest, Eleven Songs, hits stores any minute now, but you can preorder now. Solas is one of the premiere contemporary celtic folk bands around today, and — as befits a band whose name translates to “light” in Gaelic — they’ve been at the forefront of an American celtic revival since they first burst onto the scene over here just twelve years ago. 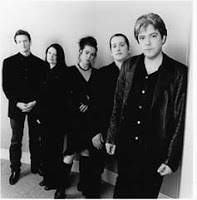 As Muruch noted in her recent review of For Love and Laughter, their newest album, they’ve gone through some lead-singer lineup changes over the years, but since the power of Solas as a performing group is predominantly in their arrangements and full celtic sound, as led by award-winning multi-instrumentalist Seamus Egan, there’s more consistency here than change, and that’s a wonderful thing. We’ve previously featured ex-lead singer Karan Casey here at Cover Lay Down, and I’ve dropped a few fave Solas covers here and there since we got things started late last year, but good music bears repeating: here’s linkbacks to their version of tradsong Rain and Snow and a cover of Sarah McLachlan ballad I Will Remember You; here’s a few more of my favorite folksingers’ coversongs from Solas. And here’s hoping that they’ll let their new lead singer Mairead Phelan shine on some new ones at ICONS, too. The Tannahill Weavers come from the old school of traditional Scottish folk music; they made their name bringing a slightly folkrock sensibility to the traditional celtfolk of their native land, and they’ve been around longer than most of us. Their natural, heartfelt work on this old Stan Rogers tune may be an anomaly among the ballads, reels and caeli, but it’s also a seamless resetting of a timeless tune, one which which shows just how closely related the traditional music of Halifax is to those older, ancestral folkforms from across the great pond. Meanwhile, despite its origins, in the hands of the Weavers, an original reel wrapped around a Gordon Lightfoot tune becomes a driving folk rock event verging on Celtic Punk. Classic stuff, all of it. Banjo virtuoso and jazzgrass composer Alison Brown may be better known in the industry as the founder of Compass Records, but over the years, she’s also released a number of wonderful albums which explore the intersections of bluegrass and jazz and folk music. Each is a clean mix of crisp-yet-flowing banjo-driven ensemble instrumentals not unlike the more acoustic work of Bela Fleck and the Flecktones, and, with the help of a series of stellar guest vocalists and session players, more typical bluegrass and folk settings of originals and covers both. We’ve previously posted Alison’s work with the Indigo Girls on Simon & Garfunkel classic Homeward Bound and with Beth Nielsen Chapman on a sweet cover of Hendrix’ Angel; here’s a few more newgrassy takes on a pair of familiar radio hits with male vocalists you might recognize from the bluegrass world. Cover Lay Down posts original writing about covered content and folkculture every Sunday and Wednesday. Bob Marley’s greatest hits release Legend may have been just a posthumous compilation, but it was a perfect, complete set; it caught fire upon its release, bringing the sound of reggae full-bore into mass culture for the first time. Some of this was surely timing — the album was released in May, and the songs rode up and down the charts like an elevator all summer long, moving virally and fluidly among those of us at summer camp, and catching fire in the schoolyard upon our return. But the album was also a timely signifier of authenticity for a growing dissatisfied American underclass left out of the Yuppie movement. College students bought the album in droves. The album went platinum ten times, and set what would appear to be an unbreakable benchmark as the highest selling reggae record ever. By the time I hit high school a few years years later the dreadlocked poster was perfectly familiar; so were the chunky beats, the fat bass, and the loose, rough-hewn vocal harmonies of the Wailers coming from a summer boombox. 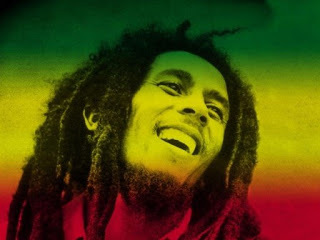 I stand by that assessment: even today, the image of Bob Marley retains a particular young person’s mark of countercultural, slyly adversarial legitimacy in the US — whether or not those who choose to post Marley’s head upon their dormroom wall realize that there is fire there, not just smoke and rolling papers. But though the Star Maker Machine model favors the shortform, since that post, I’ve been looking for an opportunity to explore Marley’s legacy on a larger scale. Because sifting through my folk archives in preparation for that elseblog post, I was struck by how many great Marley covers have come to us from musicians outside The States. My own experience aside, if the unusually broad geographical diversity of today’s coverfolk is any indication, Bob Marley’s music and the message of peace and social justice it carries has spread to every corner of the globe. And why not? Americans may like to think that Jamaica (like everywhere else) is some sort of colony, but Marley is no more ours than anyone’s. And, perhaps more significantly, Marley’s truths are universal messages of hope and solidarity, relevant everywhere that people gather together as folk. Here, then, a set which explores that broader significance. Our “genre” tags are all over the map, from the Irish singer-songwriter vibe of Luka Bloom to the upbeat indiepop sound of Norwegian folktronic solo artist Magnet. Marley classic Three Little Birds gets the lion’s share of offerings, with four vastly diverse takes: the hushed, fragile lo-fi indiefolk of Birmingham, Alabama experimentalists 13ghosts, the joyous acoustic kidfolk of New Yorker and Cover Lay Down favorite Elizabeth Mitchell, the Zydeco stylings of Keith Frank and the live bossa-reggae beat of Brazilian Minister of Culture Gilberto Gil. The mellow Australian jamfolk of Bonnaroo favorite Xavier Rudd stands in stark contrast to the traditional Okinawan folk sound that Nenes uses to flavor their stunning all-female interpretation of No Woman No Cry. Omar Sosa and Richard Bona‘s Afro-Cuban Jazz cover of Redemption Song is full and hopeful; late countryman Johnny Cash and UK post-punk Joe Strummer bring the weary weight of age to their own spare take on the same song. Regular readers know I don’t usually go for live covers, especially those clearly recorded from the audience, but for this amazingly mellow, sparse take on Waiting in Vain from Norwegian indiefolk darlings Kings of Convenience, recorded just two months ago in Seoul, I’ll gladly make an exception. And though I was tempted to skip Scottish vocalist Annie Lennox’s languid vocal pop as “not folk”, I couldn’t help but include it alongside, for contrast’s sake. There’s other covers out there, of course. But taken as a set, today’s gems fit our own “greatest hits” modality of quality over quantity, while serving as a survey of worldbeat folk from far-flung places. And I can think of no better way to show the true influence of Bob Marley, as a challenge to those who might mistake their collegiate associations for the broader impact of this musical genius. Enjoy. Like what you hear? As always, links above lead to artist-preferred sources wherever possible; please, support these artists and others by following links and buying their music. And, as always, if you know of other folk covers you think belong in this rarified crowd, send ‘em along, either through comments or via email. Still haven’t had your fill? Today’s bonus songs are halfcovers — one a two-song medley, the other an original a Damien Rice cover intertwined with a Bob Marley cover (thanks, Kathy!) — from two very different ends of the American folkworld: Jack Johnson’s barefoot surf folk and the delicate, experimental pianofolk of Benjamin Costello. Together, they help us see how, even within a single culture’s use of Marley’s songbook, there is more than meets the blurry eye. Cover Lay Down posts regularly on Wednesdays, Sundays, and the occasional Friday and holiday; upcoming posts include folk festival previews, new album reviews, and other great songs from the coverfolk purview. I also recommend Star Maker Machine, where the gathering crowd shares over thirty songs a week on a given theme; my own recent posts include the originals and multiple coverversions of both Daniel Johnston’s Don’t Let The Sun Go Down On Your Grievance and Monty Python’s Always Look On The Bright Side of Life. PS: looking for some Father’s Day Coverfolk? Try Covered in Kidfolk: Daddy’s Little Girl for some still-live coversongs for fathers and daughters! It is my honor to share a birthday with a seminal hip hop balladeer, a grunge god, the hands-down master of New Orleans R&B songwriting, and the best soundtrack and pop-americana producer in the business. Since it was too hard to pick just one, instead of focusing on a single artist or genre today, I’m featuring some of my absolutely favorite covers of the work of LL Cool J, Dave Grohl, Allen Toussaint, and T-Bone Burnett, all of whom were born on January 14. If I didn’t have an outlet for celebrating these four incredible musicians, I’d probably spend the day moping around the house, feeling old. Instead, I get to spend a few hours researching, listening to, and celebrating the songs of their younger days, and mine. Not bad for the last day of my 34th year. Though to be fair, it also helps to realize that I’m younger than all of them. 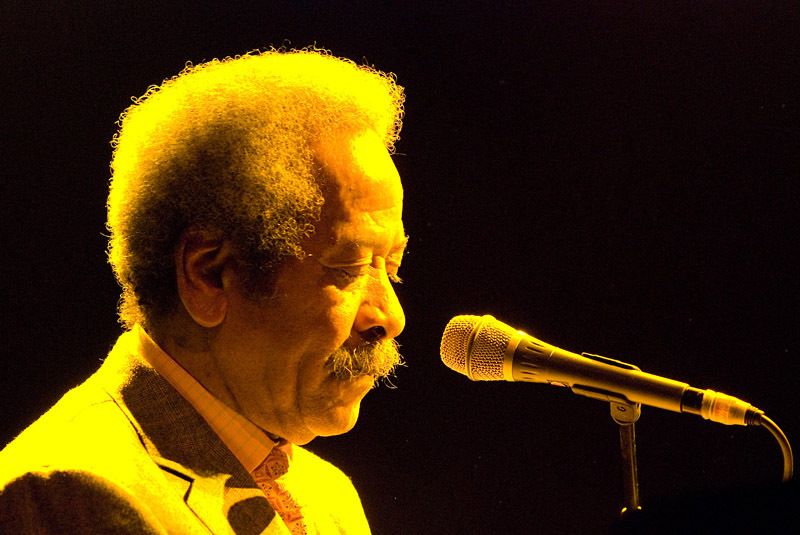 Though Allen Toussaint (b. 1938) has always been recognized as a performer and songwriter in hs own right, most of the songs he’s written found fame in either his own hands or the hands of other R&B and rock artists. But his works are so prevalent, they show up in the folk world, too, especially where folk and blues-tinged rock meet. Bonnie Raitt‘s funky cover of Toussaint’s 1970 hit What Is Success pays tribute to both the R and the B. 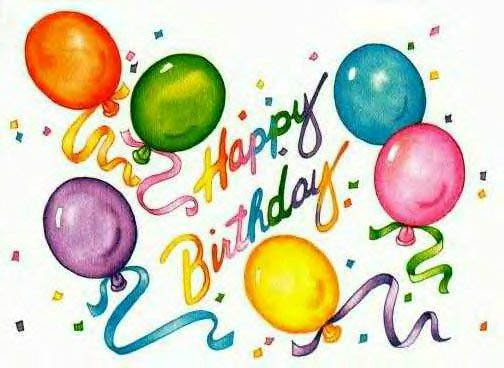 Meanwhile, Fortune Teller, penned pseudonymically by Toussaint’s alter ego Naomi Neville, and recorded by bands from the Rolling Stones to the Who, is just incredible in the hands of Plant, Krauss, and our next birthday boy. T-Bone Burnett (b. 1948) spends most of his time behind the scenes in the music world. But even if you’ve never heard his work as a roots rock Country singer-songwriter, you know his work as a Grammy-winning producer and song-writer for a bevy of musicians you really do admire (Roy Orbison, Elvis Costello, Gillian Welch, Spinal Tap, his wife Sam Phillips) and for a rash of award-winning soundtracks (Cold Mountain, O Brother Where Art Thou, Walk The Line). Burnett plays guitar on the above-mentioned Fortune Teller, and produced the album, too; here’s four more amazing covers of songs he either arranged or co-wrote. Hip hop artist and actor LL Cool J was born in 1968, and he dropped his first album of major label tracks at 17 years old, which makes the entire hip-hop genre older than you thought. Here’s a pair of playful indiepop folk covers of 1987 Def Jam release I Need Love, the first “romantic hip-hop ballad” to hit the top of the pop charts, just to prove it can be done, and done well; irish folk-rock singer-songwriter Luka Bloom and indie folktronic group Sexton Blake do excellent coverwork here and elsewhere, and come highly recommended. Before he formed the Foo Fighters, Dave Grohl (b. 1969) was Nirvana’s last and most famous drummer. The folk scene is long overdue for some good Foo Fighters covers; while we wait, check out Laura Love‘s sparse bass and vocal, Patti Smith‘s soft banjo-tinged americana, and Kathryn Williams tense string quartet jazz folk — some of the best from an infinite series of covers of Nirvana songs penned and recorded during Grohl’s tenure. All artist and album links above go direct to label and musician homepages, so you can best support artists directly, and avoid supporting the faceless megacorporations which commodify those artists. Please, folks: buy what you hear if you like what you hear, and help me realize my birthday wish for a future bright enough to contain the infinite possibility of homegrown music, in a world in which artists can sustain themselves without having to keep their day jobs. Just can’t get enough? Cover Lay Down publishes every Sunday and Wednesday, and some Fridays and Holidays. Our archives are open late, but they don’t stay up forever, so don’t forget to hit up older posts before the songs go back to the ages from whence they came.